As a novel population-based optimization algorithm, fruit fly optimization (FFO) algorithm is inspired by the foraging behavior of fruit flies and possesses the advantages of simple search operations and easy implementation. Just like most population-based evolutionary algorithms, the basic FFO also suffers from being trapped in local optima for function optimization due to premature convergence. In this paper, an improved FFO, named IPGS-FFO, is proposed in which two novel strategies are incorporated into the conventional FFO. Specifically, a smell sensitivity parameter together with an inverse power generation mechanism (IPGS) is introduced to enhance local exploitation. Moreover, a dynamic shrinking search radius strategy is incorporated so as to enhance the global exploration over search space by adaptively adjusting the searching area in the problem domain. 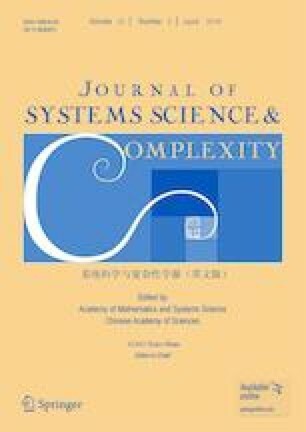 The statistical performance of FFO, the proposed IPGS-FFO, three state-of-the-art FFO variants, and six metaheuristics are tested on twenty-six well-known unimodal and multimodal benchmark functions with dimension 30, respectively. Experimental results and comparisons show that the proposed IPGS-FFO achieves better performance than three FFO variants and competitive performance against six other meta-heuristics in terms of the solution accuracy and convergence rate. This research was supported by the National Natural Science Foundation of China under Grant Nos. 71701156, 71390331 and 71690242, the Natural Science Foundation of Hubei Province of China under Grant No. 2017CFB427, Key Research Program of Frontier Sciences for Chinese Academy of Sciences under Grant No. QYZDB-SSW-SYS020, Humanity and Social Science Youth Foundation of Ministry of Education of China under Grant No. 16YJCZH056, Hubei Province Department of Education Humanities and Social Sciences Research Project under Grant No. 17Q034, Open Funding of Center for Service Science and Engineering, Wuhan University of Science and Technology under Grant No. CSSE2017KA01, Open Funding of Intelligent Information Processing and Real-time Industrial System under Grant No. 2016znss18B, Young Incubation Program of Wuhan University of Science and Technology under Grant No. 2016xz017 and 2017xz031. This paper was recommended for publication by WANG Shouyang.